Yes, it’s that time of year again! 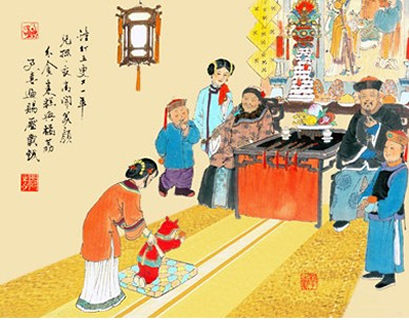 Lunar New Year’s coming up on Friday 31st January. As you all know, I got stuck a little trying to start 2014. 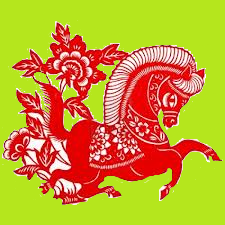 But, the Green Horse Year is coming in at a galloping pace and I’m all ready to catch it and hop onto the saddle. Heart Guy’s come back from Vietnam with the mandatory rice cakes and I put up the pickles a fortnight ago. The Peranakan pineapple tarts that all Singaporeans must have and Cheryl Lu Lien Tan writes so evocatviely about have been rolled and baked, all 120 of them! And the po-piah is all done and sitting in the freezer, ready to be thawed out for Reunion Dinner. It’s certainly not going to be the New Year of famine I wrote about in my novel As the Heart Bones Break. All that’s left is for me to slide the good luck money into the red hong bao envelopes and I’m all set for visiting on New Year Morning. These old customs are fun. They also imbue a lot of meaning into the celebrations and we taught our children the “proper rules” from a very very young age. But there’s a risk we get too entangled in “what to do” and forget “the meaning” as the illustration shows and Zoong writes about in another of his “discovered” missives. Our New Year goes kaput! Have you ever stressed your children out unintentionally with rules about “the rituals” and forgotten the true meaning of the celebrations… What did you resolve to do to prevent this in the future? Love the traditions and the Missive very cute. Wishing you a fantastic new year Audrey another year of beautiful words from you is a blessing. Happy New Year Kath. So you think I should keep going with the missives? There’s about 10 more. Do you think this should be a book for kids or for moms who miss their kids?